You are here: Home / Clip Chart / Clip Chart- one of my new favorite things! Clip Chart- one of my new favorite things! Through other blogs and some research, I found the clip chart system on www.newmanagement.com. I started it after our winter break, and immediately noticed a difference. I was using the red-yellow-green stoplight before, but some of my “special friends” really needed a few extra chances. It also gives extra positive recognition to the kiddos who were ALWAYS good. Every time they get to outstanding, they get a sticker on their clip. When they get 5 stickers, they get a COLORED clip. (oooh…ahhhh…) It continues on and on… they LOVE it! I LOVE it because it constantly reinforces POSITIVE behavior. I use it as part of my dialogue. “Who is showing pride in our line?” or “Thank you for being such great role models.” It also gives recognition to the students who are always good. Sometimes I think they are forgotten in a regular behavior system. I tweaked the design a little and this is what I came up with. Mine is in a reverse rainbow pattern, which makes red the danger zone. It is actually easier for parents (especially my non-English speaking ones) to understand. When they see “red” colored… they know their child made some poor choices. It also hides the ugly breaker box in my room- BONUS! Below are links to the printables I made, if anyone is interested. I printed them on photo paper and attached them to long strips of construction paper before laminating. Mine is hung from a hook because maintenance needs access to the breaker, but it works well for clip movement. I have a few little magnets holding the bottom. Happy weekend! 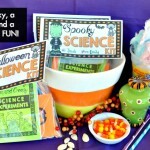 Download it HERE for FREE from my TPT store. Good luck! I need to revamp mine. I love yours. Oopsy – I mean the blue ‘Showing pride’ card! And also, can you post the blank green background, so I can extend the green part like you have? Thank you so much!!! I’ve just printed them on normal paper & it’s come out okay. Probably would look brighter on photo paper but all good. Thanks for sharing these!!! I just used them to make my own chart and it looks great! Thank you so much!! When I post it on my Blog I will give you a shout out!! 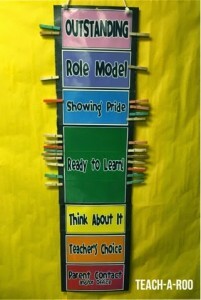 I love your clip chart! 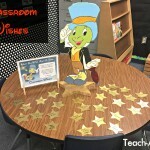 I made mine on Vistaprint last year and I really liked it..however, now have 27 kids in my class and my little clip chart is not fitting all of the clips! However, I cannot figure out how to print yours…maybe its the fact I have 27 kids and my brain is gone or maybe I am doing something wrong! Is there anyway you can email it to me or can you help me with the printing process?? Thank you! Thanks so much for sharing your files for us to create this GREAT idea! Your hard work saves the rest of us some time, thank you so very much! I was wondering if you use any forms to document/record the behavior like in the e-book. Also, what do you reward them with if they earn the 5 stickers….just the new colored clip? 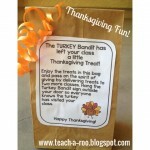 I just wanted to let you know that I linked you to by blog because I used your clip chart printables. Please take a look and then follow me if you’d like. I am new at this, so I appreciate all the blogging help!! Many people have been pinning a rainbow behavior system on Pinterest. 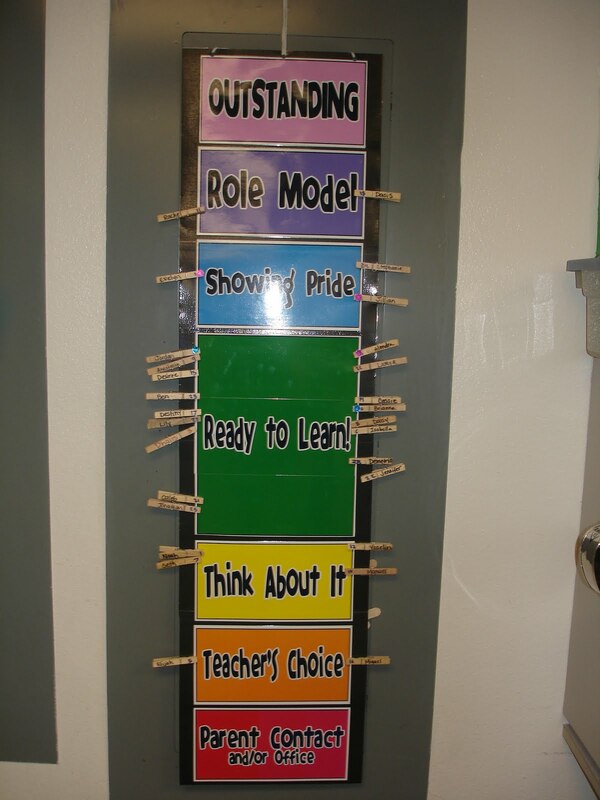 They have many different ways for rewarding students, but what do you do with the student’s who have “clipped down” to receiving consequences? If it is time for something fun do you take that away from those kids? 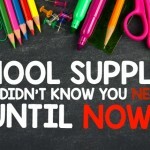 If they have “clipped down” and have improved do you you still let that parent know? If some one “clipped down” and improved, but it is time for recess or something fun do you still take it away? Just wondering what others have done! Thanks! 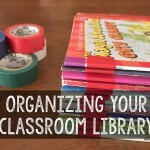 I just ran across your blog and am trying to figure out ways to get organized in the classroom. I have been a librarian for the past 10 years and our building just closed in May. So needless to say, my librarian position no longer exists. I will be going into 1st grade so can use all the help I can get. :0) Thanks for the post and freebie.